Regular social posting is critical to building an engaged social media audience. We create and post engaging content to your Google+, Facebook, Twitter and LinkedIn channels. 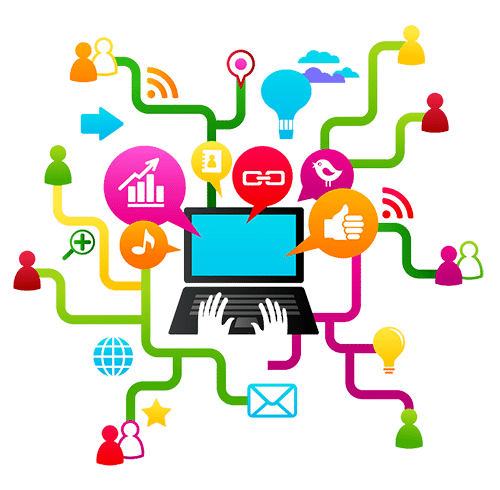 When creating social posts, we strike a balance of marketing posts—such as specials, or products and services you offer—with interesting and relevant content found online. Properly maintaining social media accounts is time consuming. Let us put in the work! Our content experts will provide engaging content relevant to your industry and interesting to your followers. Drive traffic to your website and improve your position in search results. Can I request specific posts? Yes! Our team requires any specific requests to be submitted at least two weeks in advance. What profiles will you be posting to? Our platform allows us to post on your Google Plus, Facebook, Twitter, and personal and company LinkedIn profiles. Please note that we can only post to profiles to which our team is given access to. How can I see the posts you did for me in the past? You can view them at any time in the Social Marketing dashboard! When will I start seeing my posts? Following your onboarding call with our agents, you should start seeing your posts within 5 business days. Questions? Contact us now by calling 844-879-3456 or click here. Getting started is easy! No contracts and no long-term commitment required. Click the button below, pick a plan, pay and we’ll get you going.